"Find ways to deal with your successes." For her 37th birthday, Dr. Shinkai Hakimi planned a surfing and yoga trip with her friends to Nicaragua. In that moment, she had no idea that a change in plans would transform her life’s mission. Instead of taking the surfing trip, Shinkai landed on the Greek Island of Lesvos giving medical care to refugees living in camps. Lesvos has become a “ground zero” for the refugees fleeing to Europe from Syria, Afghanistan and other war torn countries. This on the ground, direct experience with refugess led Shinkai to start a medical non-profit called Bridge To More. A medical doctor by trade, Shinkai is a champion for girl’s education through her work with the non-profit, Sahar. Sahar empowers women and girls in Afghanistan by building and supplying girls schools, training Afghan teachers, preventing early marriage, and coding classes for Afghan women. 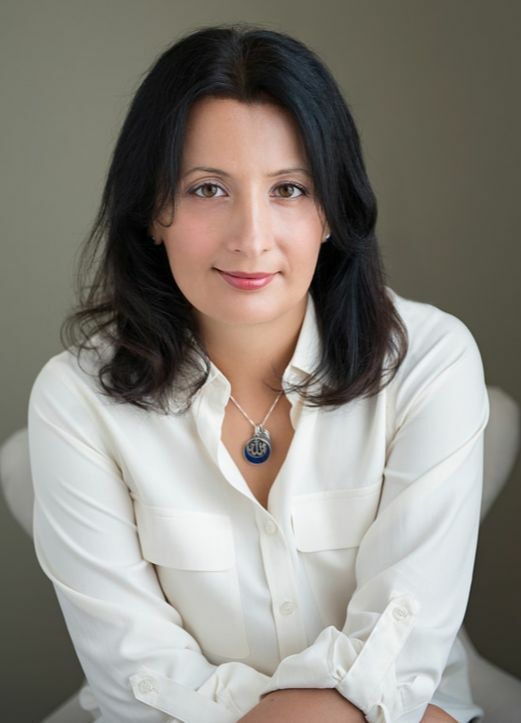 A firm believer in the power of education for all, Dr. Shinkai Hakimi, a native of Afghanistan had to flee her homeland with her family in the early 1980’s due to the Russian invasion. Her family was granted asylum as refugees in Germany. Eventually immigrating to the United States, Dr. Hakimi and her family settled in a small farm town in Iowa. As far back as she could remember education was of the utmost importance in her family, regardless of gender. Dr. Hakimi went on to complete her undergraduate degree at Washington University in St. Louis, and then to medical school at the University of Iowa. She is trained in Pulmonary/Critical Care and is currently working in Northern California. Dr. Hakimi is a board of director of the non-profit, Sahar, which aims to get more girls in school in Afghanistan. In 2016, she spent two weeks on the Greek Island of Lesvos, helping provide refugees healthcare.